Ela! 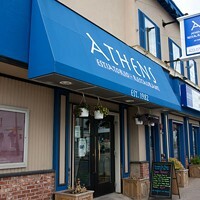 may have a different name than it used to, but this beloved Greek restaurant is still dominating this category. An Albertan company snatched up the name Opa! in 1998, about two years before our local favourites did. As the Albertan Opa! restaurants began sprouting up further and further east, the two locked horns in a legal battle over their treasured trademarks. 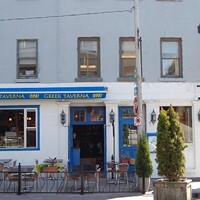 Unfortunately, Opa!’s neighbour to the west came out on top, and our local trio of Greek restaurants have been going by Ela! ever since. That’s OK with us. Just keep serving up the goods and we’ll call you whatever you want.